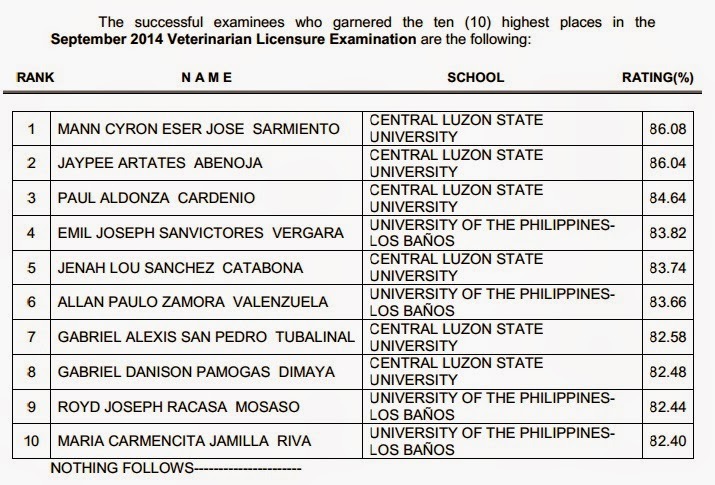 The Professional Regulation Commission (PRC) officially released on Friday, September 5, 2014 the list of passers for September 2014 Veterinarian board exam. Mann Cyron Eser Jose Sarmiento of Central Luzon State University (CLSU) topped the board with 86.08 percent grade. Jaypee Artates Abenoja also from CLSU placed second with 86.04 percent average.